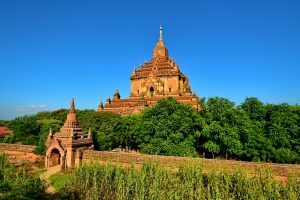 Thatbyinnyu Temple, whose name means “Omniscience”, is the highest temple of Bagan. 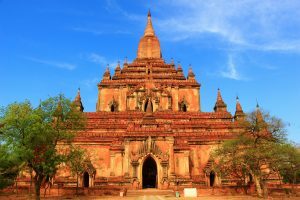 It was built in the 12th century by King Alaungsithu. 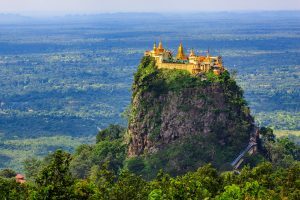 The towering structure gets its name from the Omniscience of the Buddha, as ‘thatbyinnyu’ means Omniscience in the Myanmar language. 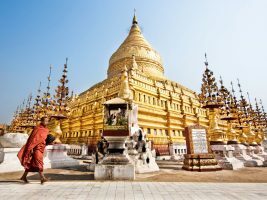 Location: East of Gawdawpalin Temple, in the regions of Nyaung U and Wetkyi-In.